Mazda Miata goes for a dive. 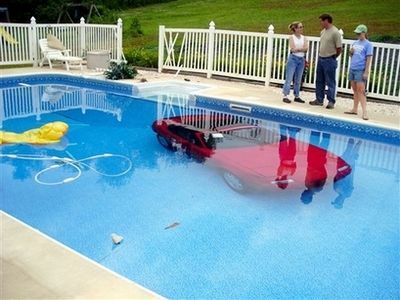 I am sure everyones first reaction is, “How can you let your car roll into a swimming pool”? But, stuff happens. 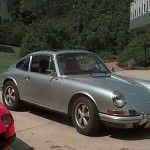 Good rule to follow is, keep your car in gear, pull your parking brake up firmly, and if on a hill, turn your tires in towards the curb, or up hill. Let me guess, a woman was driving it? 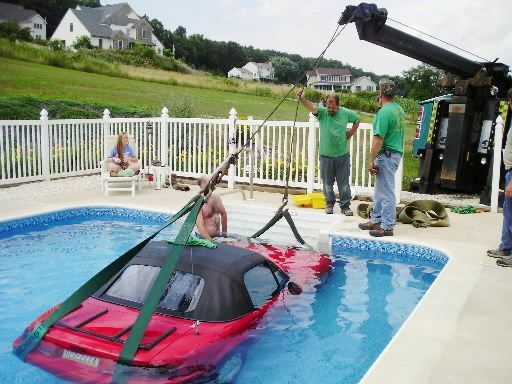 Miata in the pool, I guess that is what happens when you buy your teenager a car while still in high school.